South Florida Boat Show and Heat Game this Weekend!! Deep Sea Fishing in Miami charter wants to remind everyone about the 19th Annual South Florida Boat Show this weekend. This event is one of the top boating shows in Miami. Boats featured at the show are worth millions along with accessories for them. Accessories for the boats are made from leading marine manufacturers worldwide. 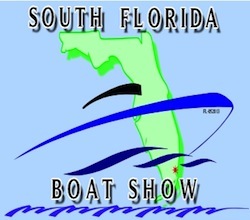 South Florida Boat Show is fun for everyone whether you’re an experienced boater or not. Boat will be located at the Miami Beach Convention Center with FREE ADMISISON. There will be over 100 boats and watercrafts. Hours of the show are from until 8PM today and tomorrow while it ends on at 6PM on Sunday. South Florida Boat Show is going on as we speak. Great way to spend the day with family and friends by checking out these amazing boats in one location. Don’t forget that the Miami Heat playoff game is this weekend as well. Miami Heat game against the Pacers begins Saturday night at 8:30PM. The Heat has a 3-2 lead in the series and look to end it last night to meet with Spurs in the NBA Finals. Last night’s game was unbelievable as Lebron James led the way with another monstrous performance. Role players stepped up big last night through the game. Hopefully this long series will end Saturday night so we can get rest and prepare for the Spurs. Pacers have been playing great basketball as they have been going blow for blow with our team. Each team has given their best shot against each other as most games have ended with a close score. This is a great weekend to be in South Florida as there is a boat show all weekend long along with the Miami Heat game. The THERAPY-IV crew hopes everyone has a fun and safe weekend. Miami Fishing charter is proud to announce that the Miami Heat won their first game in the Eastern Conference Finals. Last night’s game went to overtime as the score stayed close all game long. Pacers play Paul George shot a 3 pointer about 10 feet from the arc to tie the game. This shot shocked the crowd that led to the game going to overtime. 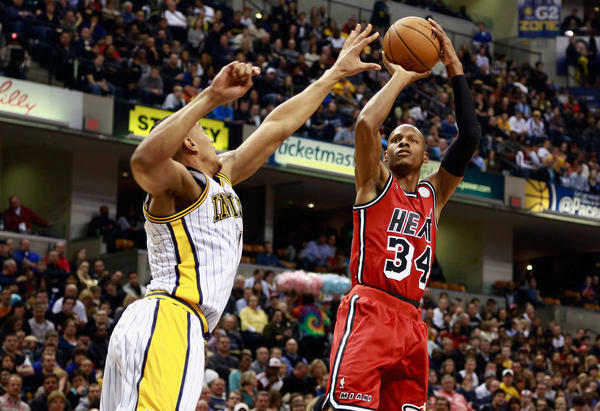 Miami Heat did not play their best game last night, as the Pacers were a big reason for that. Both teams were struggling with the referees as foul calls were being made all game long. Many fans believe that the refs took over the game as foul calls were made almost every other play. Foul calls were even made during critical moments when Dwayne Wade barely touched a Pacer’s player towards the end of the overtime. This foul gave Pacers the opportunity to gain the lead towards the end of the game. 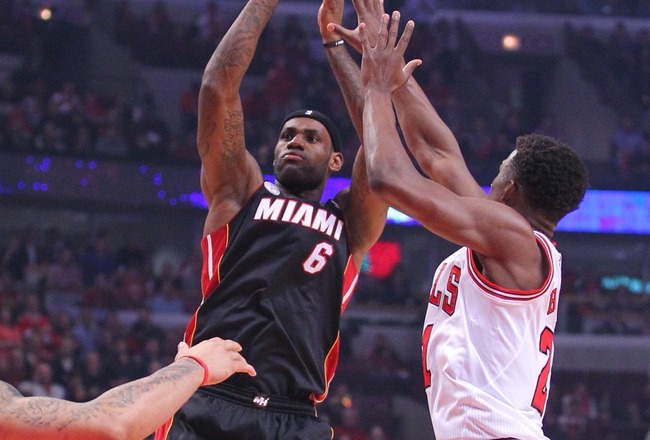 After the free throws were made, Heat were only given about two seconds to make a final shot. 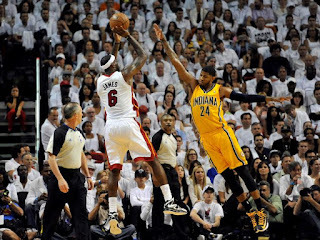 This moment belonged to Lebron James as he grabbed the ball past Paul George to score the game winning layoff. Lebron James made this shot at the buzzer, as there was no time left in the game. Home crowd exploded when James iced the game to win in front of our fans. Everyone from Miami went home happy after a long and competitive match up. Deep Sea Fishing in Miami charter was fans to continue showing their support, as Game 2 is tomorrow night. As fans we have to give the Heat a home court advantage. Winning the first two games is critical towards gaining an edge and winning the series. We hope everyone had a great time last night and show support for the Heat tomorrow night. Eastern Conference Finals Starts Tonight!! Deep Sea Fishing in Miami charter is excited that the big game is finally here that we have all been waiting for after a six-day layoff. Miami Heat will be playing against another competitive rival the Indiana Pacers. The Pacers are a heated rival to the Heat who play great basketball against our team. This year the Pacers went 2-1 against the Heat this regular season. Last year the Indiana Pacers were up 3-2 in a playoff series against the Heat before coming back to win the series. Indian Pacers play a physical game with big men across the entire roster. Our opponent is great with rebounds and is the best against 3-point shots. Miami Heat are not known for their rebounds and have great 3 point shooters. Indiana Pacers are a great match up against the Heat as they excel where the Heat are not strongest. Miami Heat is one of the smaller teams in the NBA as center Chris Bosh is really a power forward. The Heat are lacking a true center like Roy Hibbert who is 7’2. Fortunately Chris Bosh plays great basketball against Roy Hibbert by using his athleticism. This year the Pacers are playing without their leading scorer Danny Granger. Now the Heat have Chris Bosh healthy who was not available to play the entire series last year against the Pacers. Eastern Conference Finals should be a fun and competitive match up to watch between two great teams. Our Miami Heat is looking to be in three NBA Finals in a row while winning back-to-back championships. First two games will be at home as the Heat are looking to take home court advantage. The THERAPY-IV encourages everyone to continue showing your support for our team. Those who are going to the game should show up on time to set the tone all game long. Today we are anxiously anticipating the big game tomorrow as the Miami Heat plays against the Indiana Pacers. One way to keep your mind off the game is by going Miami Sailfishing. This trip will clear your mind of all stresses and troubles going on elsewhere. Sailing on the THERAPY-IV is a luxury experience as the boat sails smoothly across the deep sea. Miami Sailfishing on the THERAPY-IV is a great experience as the boat is built to capture these sea monsters. Boat provides all the equipment one would need to successfully capture sailfish. These fish are a milestone for fishermen everywhere as they are not easy to catch. Sailfish have their name due to the sail looking dorsal fin on their back. Catching a sailfish is difficult as they are large, powerful and ferocious fighters. They will give a challenge to any fishermen, regardless of his/her experience. 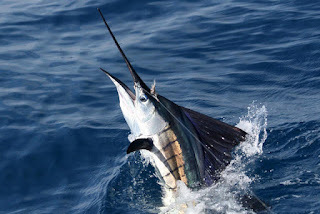 Fortunately the THERAPY-IV provides an experienced crew that has captured sailfish and many other fish in the sea. Having assistance from these crewmembers can make all the difference in the world. Crewmembers of the boat will set you up for success with top end equipment to catch the sailfish. All you have to do is reel it in, as the crewmembers will guide you through the process step by step. Sailfishing trip on the THERAPY-IV is an educational experience, as they will teach you the catching and storing process step by step. Miami Beach Deep Sea Fishing is a rewarding experience that you will not forget for a long time. Sailfishing is a fun and challenging task that requires plenty of teamwork. Group of guests can work together to successfully capture a sailfish while out in the deep sea. Month of May is almost over as we are only days away from June. Time flies when you’re busy so be sure to stop every once in a while and enjoy yourself. Many of us enjoy taking a day off to relax and recharge for the week. A great way to recharge and enjoy you is by taking a Miami Deep Sea Fishing trip. South Florida has the best waters for fishing in the country, especially this time of year. Weather is nice and warm when all the fish come out to sea. Fish are easily to find this time of year as many of them enjoy the warm water. One fish that can be found in the deep sea are sharks. Most of you already know the dangers from sharks from movies and other media. These dangerous are known for their size and aggression, as they will put a fight. Reeling sharks in can take a good amount of time but it worth the battle. The gratification of successfully Miami Shark Fishing is a feeling that is unmatched. Capturing a shark is a milestone for fishermen as they are difficult fish to capture. There is no better prize than to have a shark hung up in display, showing that you conquered that fish. Simply catching a shark and putting it back is an accomplishment as is. One can take a picture with the shark they have captured before throwing it back into sea. 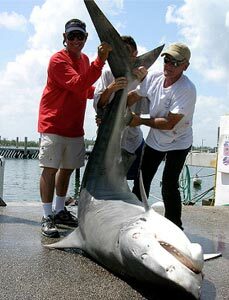 Miami Shark Fishing is a thrilling experience that is enjoyable for friends and family. Miami Deep Sea Fishing on the THERAPY-IV while capturing sharks is an unforgettable experience. What better way to describe your month of May then to say you caught a shark out in the sea? Miami Deep Sea Fishing crew wanted to congratulate the Miami on winning the second round series against the Chicago Bulls. Miami Heat are now in the Eastern Conference Finals three years in a row. The series was only 5 games but it felt like 7 for many of us. Bulls fought hard to the very end as the last game was decided by 3 points. Now we have a few days to relax and look forward to playing the Indiana Pacers. This team plays against the Heat very well similar to the Chicago Bulls. Pacers team is healthy with all of their players after George Hill got back in the lineup from injury. Last year the Pacers had the Heat down 3-2 in a playoff series before Miami came roaring back to win the series. Game has not even started and there is already tension between the two opposing teams. Indiana Pacers head coach claimed that the Miami Heat is just another team to play in the next series. Lebron James responded with saying that his team is not just another opponent, but a great time. Heat will be ready to go as they have six days of rest waiting to play the Indiana Pacers this Wednesday night. We hope to start the Game 1 on a good note by setting the tone in our home court in Miami. Fans will be ready to go in their white shirts to represent the white hot Heat that already have an amazing 8-1 playoff record so far. Defending champs are expected to win this game and series, but it can't be taken for granted. Let's keep the momentum going and make this another short series as we look to win another NBA Championship. The THERAPY-IV wants everyone to continue supporting the Miami Heat this playoff run. Miami Heat Are Up 3-1!! Miami Beaching Fishing charter was to congratulate the Miami Heat on another win last night against the Bulls. This win has completely changed the momentum of the series. The likelihood of Bulls winning this series is now slim to none. Last night the Miami Heat established their dominance, especially in the second half. 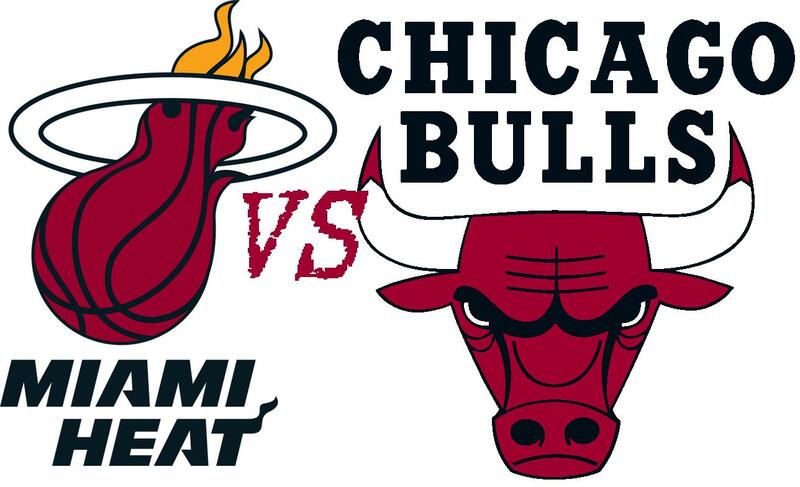 Bulls put up a good fight until the entire team ran out of gas and didn’t have the energy to keep up with Miami Heat. Matchup was cleaner than the previous two as no players were ejected or fouled out of the game. Many would consider last night a sloppy offensive yet defensive game at the same time. 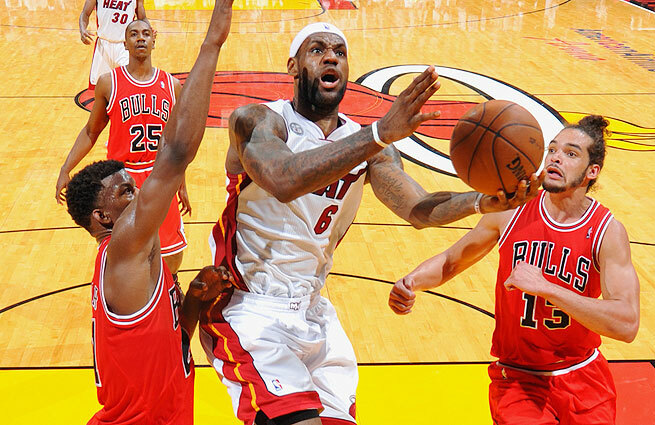 Chicago Bulls scored a franchise playoff record low 65 points as the Heat scored a lower than average 88 points. Lead was maintained throughout most of the game. The Bulls also had a franchise low 9 points in the 3rd quarter with no offense put together. Lebron James once again dominated as he was flirting with another triple double. Chris Bosh had another stellar game was he was very efficient on the floor with 7 of 10 shooting. Last night’s game was a defensive match up without all the extra curricular activities. Two teams played a competitive game of basketball, great to watch as a Heat fan. Miami Heat did what they have been doing all season long by breaking down an opponent until they second half when they run away with the game. Our team only has to win one more game in order advance to the Eastern Conference Finals against the winner of Pacers and Knicks. We have been doing a great job supporting our team; let’s keep up the good work. Fishing charter from Haulover Marina will continue to wave their Miami Heat flag proudly. GAME 4 TONIGHT AGAINST THE BULLS! GO HEAT!! Tonight is the night we have all been waiting for since Friday night as we are looking to win another game this playoff series. Right now we are up 2-1 against the rival Chicago Bulls as this series has been anything but easy. Despite having a depleted roster, this team has put up a good fight against our Miami Heat. The opposing team deserves tons of credit for making this series as competitive as it is. One thing they will not receive credit for is their unsportsmanlike like conduct. Chicago Bulls have been attempting to get to our players heads by antagonizing them. This attempt has failed as our Heat players have turned the other cheek and not once overreacted to a situation. Players have stood up for themselves, but no further action from there. Hopefully tonight will be the beginning of the end as we look to gain a 3-1 lead and be one game away from winning. Tonight will give the Miami Heat an opportunity to come back home with plenty of momentum. Miami Deep Sea Fishing charter has been following this team like all you South Floridians have. We have to continue showing our support throughout the series as tip off happens at 7PM. Players such as Dwayne Wade needs the rest for his knees so it’s best to end this series as quickly as possible. Miami fans wearing their white hot heat t shirts as the crowd will be covered in white with cheering fans. These fans were rated the #1 fans in the NBA, so let’s keep up the good work. The THERAPY-IV is doing their part by proudly waving a Miami Heat flag on the boat. Be sure to show your support whether you’re at the game, bar, restaurant, radio or watching it at home. 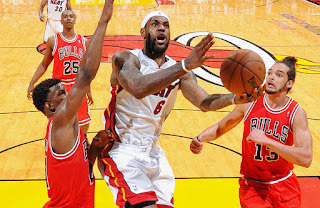 Miami Heat Won Game 3 Against the Chicago Bulls!! 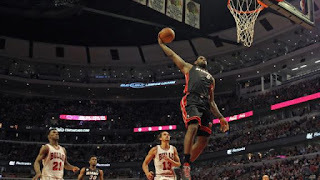 The THERAPY-IV wants to congratulate the Miami Heat on their Game 3 win over the Chicago Bulls. Our local NBA basketball team is now up 2-1 in the series. This game was another hard fought battle with plenty of tension similar to game 2. The Bulls are undermanned with plenty of injured players, but they play their best against us. It doesn’t who the Bulls have playing on their team, they will make it tough on our Miami Heat. Unfortunately the Chicago Bulls have resorted to unsportsmen like conduct by pushing and shoving after plays to antagonize our players. This fun game of basketball has become a fighting match at times from both sides. But we have veteran players with good temperament as we do not let them get into our heads. There was an ejection last game for a player shoving Lebron James into the floor. 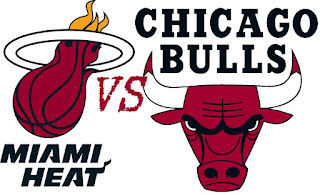 Our Miami Heat overcame the odds yet against as we have a one game advantage over our rival Chicago Bulls. The next game tomorrow night will be played in Chicago as we will be looking to get another win before going back to Miami. This playoff series has been very tough and competition, much more than most believed it would be. Give the Bulls credit as they are not going down without a fight. Miami Heat welcome the challenge as they will only get better between now then hopefully win the NBA Championship. Large part of their success outside of their talent and skill is the support they get from our fans in South Florida. Miami was rated the number one fans in the NBA, let’s keep up the good work. Miami Fishing charter wants you to continue rooting on for our Miami Heat as they are on their way towards another NBA Championship. 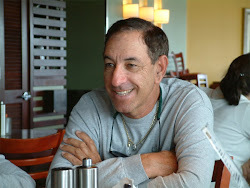 Miami Deep Sea Fishing charter is inviting you to follow the THERAPY-IV on Twitter. For those who are not familiar with Twitter, this network is one of the largest social media in the world. Members of this social media are from all over as having an account is for free. Many businesses, celebrities and other have their own Twitter accounts. Twitter is a social media where members freely express themselves in 140 character messages. These messages generally explain what is on that user’s mind at the moment. A lot of members enjoy using Twitter when they are on the go. This social media only has words so that the feed is not crowded with pictures. Members of Twitter can interact with each other through posts and messages. The network is used to find another audience that resides in Twitter. Miami Sailfishing charter has had a Twitter for almost a year as they already have over 1,000 followers. These followers are updated from posts on Twitter and post redirected from Facebook. Great amount of information can be found, especially from the THERAPY-IV. 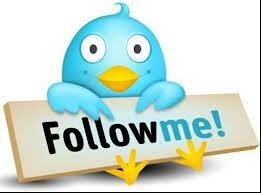 Twitter has become a useful tool for businesses to expand to another media platform and find a new audience of people. The THERAPY-IV seeks to find more people that would be interested in some Miami Sailfishing trips. Pictures are posted through links so that people who enjoy pictures. If you already have an account, be sure to follow us on Twitter. Those who do not have an account yet should get one, as it’s quick, easy and most importantly for free. Have access to a great amount of information from the THERAPY-IV, celebrities, other businesses and many more. Twitter is a user-friendly social media that will keep you busy while you’re on the move. Show your support for the THERAPY-IV by following us on Twitter. Miami Heat Second Round is Finally Here!! Recently the Bulls won a Game 7 in Brooklyn without some of their best players. Those of you who follow the Heat religiously remember how they snapped our great winning streak. The streak that the Heat were having was historic for franchise and NBA. This series will not be about revenge for that loss but it will be a factor. Chicago Bulls are like any other team that is an obstacle between the Miami Heat and NBA Championship. Miami Fishing crew has been keeping you updated with the ups and downs of this franchise. This local fishing charter is a proud supporter of our Miami Heat. THERAPY-IV boat proudly waves a Miami Heat flag for everyone to see. We know the Bulls will not make it easy on as they save their best basketball for us. Miami Heat are looking forward to the challenge after the long rest. Players such as Dwayne Wade have had time to get healthy for the next series. Layoff is not a concern as this team is well seasoned with veterans who have been there before. Be sure to watch the game tomorrow night as the Miami Beach Fishing charter will be cheering on! night our local NBA basketball team will be facing the Chicago Bulls. This team has been a rival throughout the years and especially lately. For some reason this team gives us a very good fight regardless of who playing. The Bulls have been playing undermanned without their best player Derek Rose. There is plenty of controversy about his return considering that he has been practicing for two months. Despite the major loss and many injuries along with them this team is formidable. 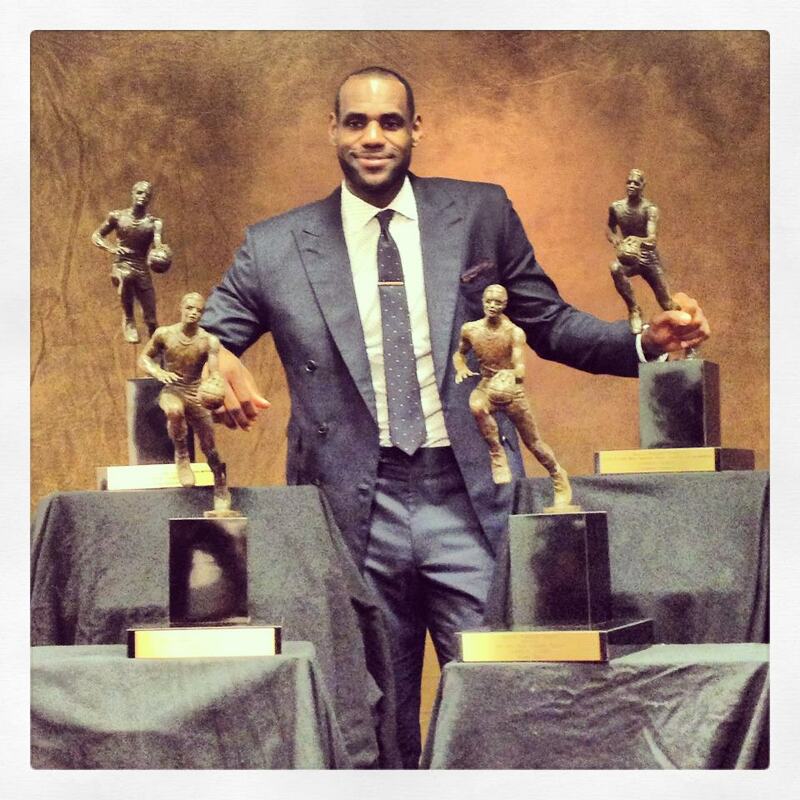 Lebron James Wins His 4TH MVP!! 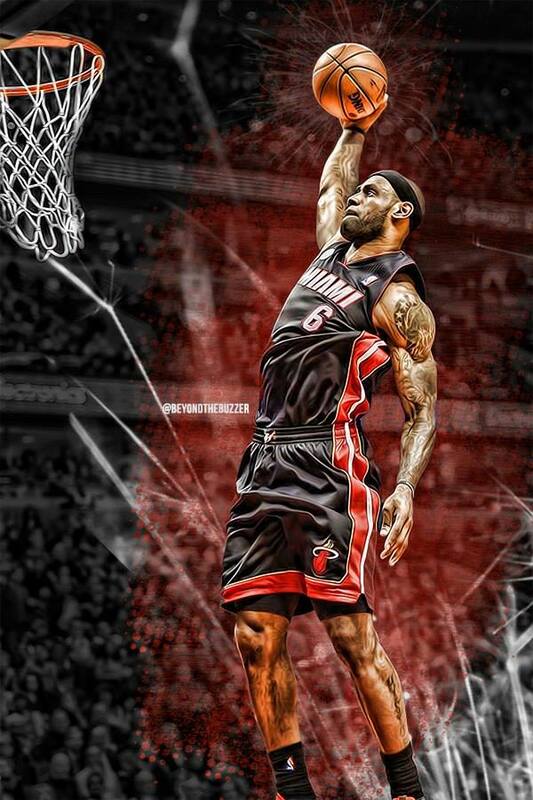 Miami’s own Lebron James won his 4th MVP as the Miami Heat’s leading player. Lebron James joins great company of hall of famers including Michael Jordan. He is the youngest player in NBA history to have won 4 MVP Titles. James is also the only other player to win the MVP in four out of five years. Two have these MVP’s as a player of the Miami Heat. 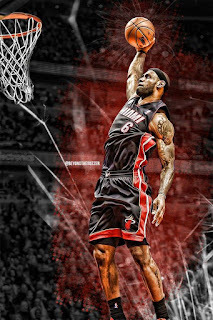 Lebron is the best player in the best team of NBA. This player was able to manager being top 10 in scoring, steals, assists and field goal percentage. Somehow Lebron continues to get better every single year after already winning MVP titles. The sky is the limit for James as he is only 28 years old and is only getting better. Humble player he is feels he can drastically improve his game as a free throw shooter. Player such as Lebron is much more concerned about winning his second NBA Championship in a row. It is rare to find a player of this caliber who is not content with his level of play. Miami marlin fishing charter wants to congratulate Lebron James on his 4th MVP award. James is not only a great player on the court but a great person off the court as well. Lebron is active with community work through both donations and appearances. This man takes time out of his schedule for others in need. Even at the ceremony of his MVP award, a number of students were present after earning good grades in school. Lebron James is a tireless worker both on and off the court. The THERAPY-IV is proud to support such a player and man of this caliber. Hopefully we will be having another celebration in weeks for his next championship award! The THERAPY-IV crew hopes everyone is having a good time today for Cinco De Mayo. This holiday is to celebrate Mexico’s heritage and pride. This country was built upon different communities and cultures including the Mexican heritage. There are many traditions that come from the country of Mexico Many citizens in this country come from Mexico as they proudly share their culture with us. Holiday Cinco De Mayo is an excuse for friends and family to gather. Cinco De Mayo is celebrated by eating, drinking and decorating a Mexican themed party. Throughout the weekend many venues and establishment celebrated this today. Cinco De Mayo is celebrated all over from households, restaurants, parks and anywhere else gathering people to have a good time. Most adults will find themselves coming across a Corona or two to relax and enjoy the moment. A lot of people will be dressed with the tradition Mexican attire. Some parties will have pinatas to hit to win prizes inside. Many of us are partying at this current moment. We are enjoying ourselves just like the rest of you are. This day is not only to have fun but also educational as well. Most of us are not fully familiar with the traditions of the Mexican culture as we find out about today. There is so much learn about the Mexican and many other cultures in this country. Today is a day where we show our respect for the pride and heritage of Mexico. Be sure have a great time and be safe while partying. Those of you that have work the next day will be tired, so do not party too hard. Miami Deep Sea Fishing crew wants to wish everyone a Happy Cinco De Mayo! Miami Deep Sea Fishing charter wants to remind you about the Kentucky Derby this weekend. As many of you know, this is the biggest horse race of the year. Kentucky Derby is one of the largest sporting events of the year. People come from all over the country to enjoy this race. Whether you’re watching it on TV or live in person this is a great event to watch. Thousands of competitors from the horses, to their trainers, owners and jockeys dream to be in the event. There are only 20 competitors with some of the fastest horses in the world. Many say that this race is the fastest two minutes in sport this weekend. Horse racing season and tournament since September 29, 2012 are all leading to this event. Prep season was from the beginning until February 18, 2013. After the Prep Season for horseracing, was the Championship Series – 1st Leg that ended in March 24. Immediately following the 1st Leg is the 2nd Leg into the Wild Card. The Wild Card Championship Series was from April 20-27 to then the grand finale this weekend. Competitors have had a week to rest for the big race. Tournament is limited to 3 year old thoroughbreds so they must be around that age when starting the Prep Season races. There is a separate route to reach the Kentucky Derby that is through the Kentucky Oaks competition. These competitors run at the Churchill Downs before the derby. Many television sets will be viewing this tournament throughout the weekend. Bets are being placed from some of the biggest names. 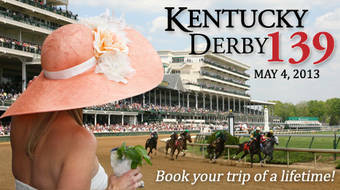 Be sure to take time out of your weekend to enjoy the 2013 Kentucky Derby this weekend. Miami Beaching Fishing crew the THERAPY-IV hopes everyone has a great weekend.